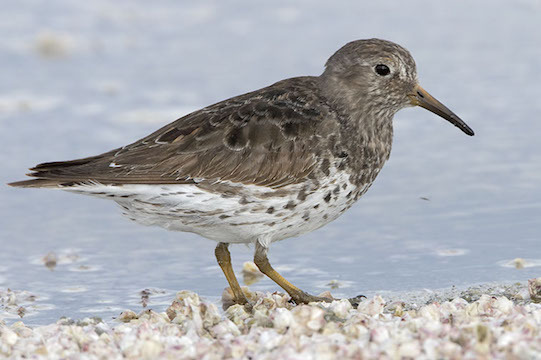 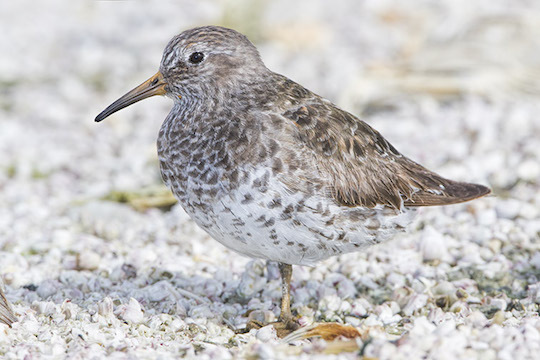 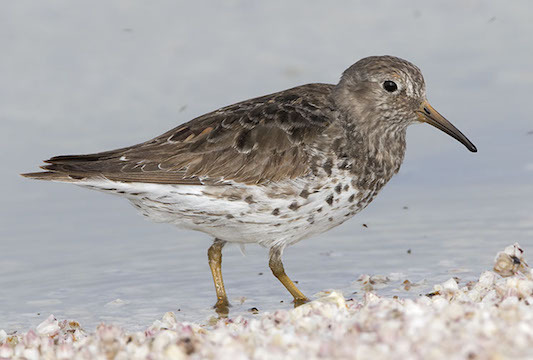 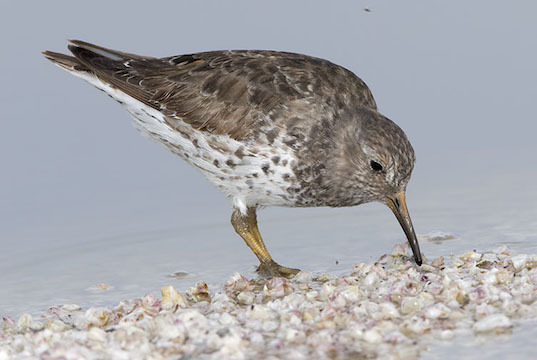 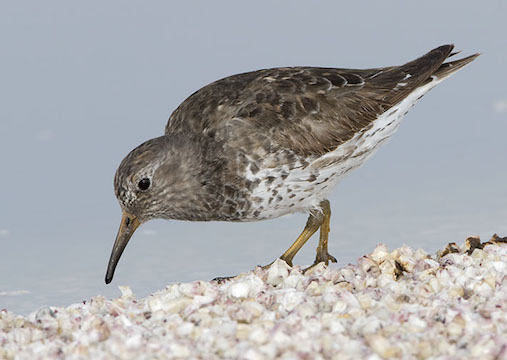 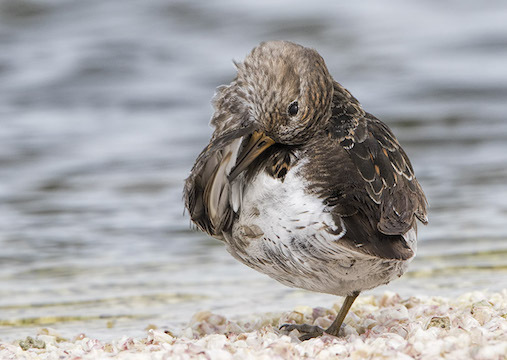 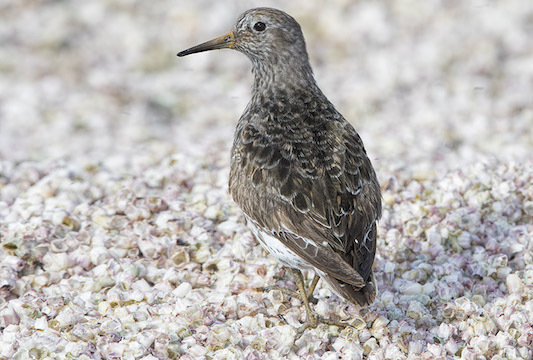 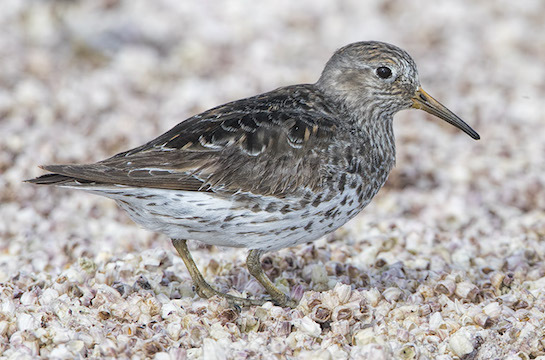 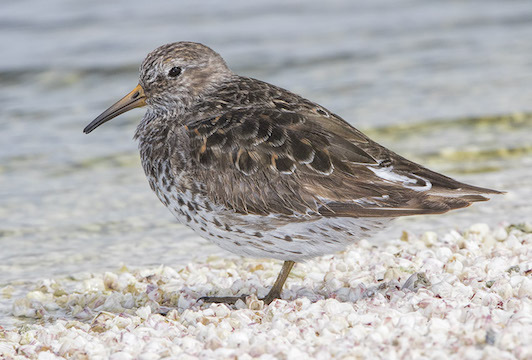 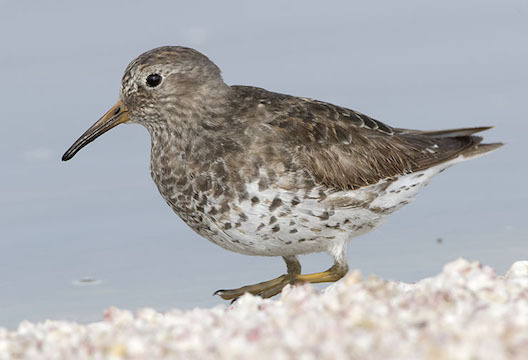 Purple sandpipers are the Atlantic equivalents of the rock sandpiper of the North Pacific . 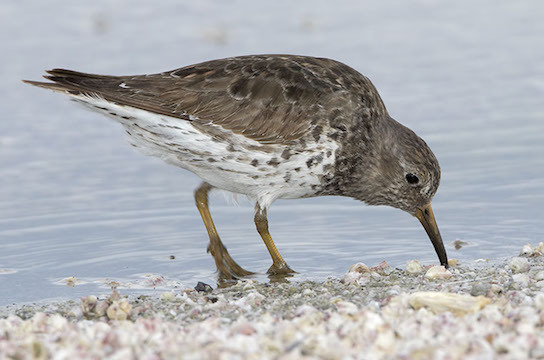 Both usually spend more time on rocks than on sand or mud. 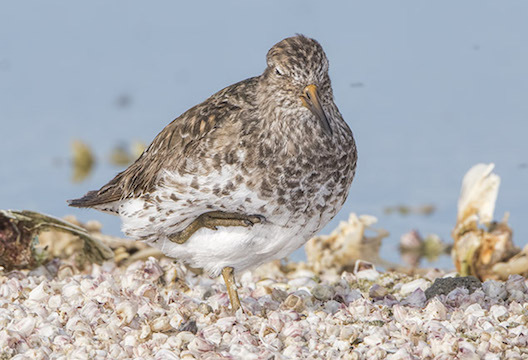 This individual is a far off-course bird that managed to end up on a barnacle beach on the Salton Sea in extreme southern California in March and April 2016 -- far out of its normal range and the first record from California. 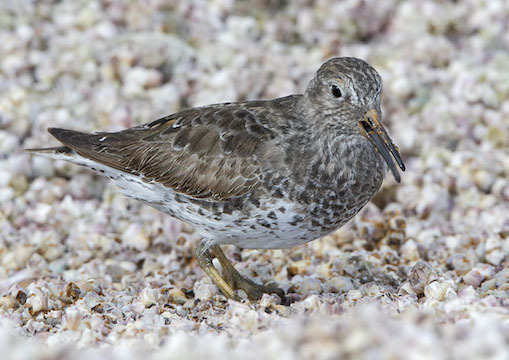 At the time I write this most authorities think it is a purple sandpiper, but the ID was a little uncertain because of the great similarity between the winter plumages the two species. 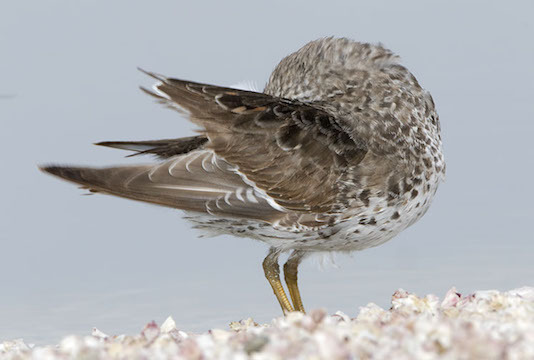 This one has a few breeding-plumage feathers, which helped push the diagnosis towards purple among the experts.